After a couple of really hectic days, the Momma and the Daddy are off on a mini vay-cay. They are going to go to see a big concert by this cat lovin' dude! The one, the only Peter Gabriel!!!! He's a great favorite around here. the Momma has been known to dance with us to his songs. One of our favorite "dance-tracks" is "In Your Eyes" and here is a version by that ever elusive scientific feline: Schrodingers Cat ! .... see if you don't wanna "busta-paw" to the groove. So off they go, the Grandma will be taking good care of us while they are gone, so we'll see you all in a couple days! We hope your peeps have a great time!! I hope that your beans have a wonderful time rockin'. Hope they have a good time! 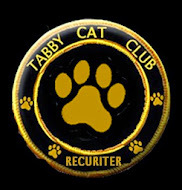 I didn't know Peter Gabriel was a cat guy! My human should have been listening to him instead of Motorhead. doods. hope yur mom N dad haza grate trip N remember; gram maws always let ewe get away with stuff de pawrents dont !!! ENJOY N HAZA GRATE TIME !!!!!! Cool! Our mom and dad like Peter Gabriel, too. Have fun with your Grandma! May they have a great concert! Cool. 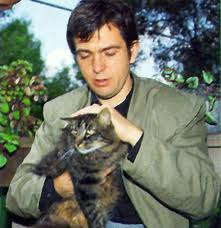 We didn't know Peter Gabriel was a cat man! we hope your folks will have a great time! Have a great time!!!! My mom LOVES Peter Gabriel! How was it?!! I am SOOOO jealous! I've wanted to see him in concert my whole life! One of my favorite artists! lucky lucky them!